Download UN Monitor #03 (pdf version). The Economic and Social Council (ECOSOC) Partnership Forum will hold its annual session at UN headquarters on 11 April 2019. This year it will focus on partnership efforts supporting the 2030 Agenda for Sustainable Development and its Sustainable Development Goals (SDGs). The 2030 Agenda is the subject of review by the High-Level Political Forum on Sustainable Development (HLPF) annually under ECOSOC and at summit level every four years (including 2019) under the auspices of the UN’s highest political body, the General Assembly. The HLPF has a multiyear programme clustering the SDGs year by year but SDG 17, essential for the implementation of all SDGs, is reviewed every year. Framed as a goal to “Strengthen the means of implementation and revitalize the Global Partnership for Sustainable Development”, what was conceived as a global partnership led by States is being re-interpreted to emphasize partnerships with as many actors as possible. However, this shift has not been guided or governed by principles, criteria, and independent assessment and oversight. The 2030 Agenda indicator by which to assess the value of multi-stakeholder partnerships, which was meant to build on “experience and resourcing strategies”, measures only financial resources (17.17.1). This quantity not quality approach favours big business and big NGOs (see Global Policy Watch briefing #24: “The semantics of partnerships”). The attention to UN engagement in partnerships has the potential to re-position the ECOSOC Partnership Forum from a market place of practices to a policy-shaping body. While it may be a forum to develop the understanding of UN partnerships, it does not deliver the accountability and oversight needed. Its orientation / DNA is to promote partnerships, side-stepping the essential first step of assessing in what circumstances partnerships are a legitimate approach or an effective modality (see remarks of Barbara Adams at the 2018 ECOSOC OAD segment, on “Strengthening partnerships and stakeholder engagement”). Its emphasis on promotion implicitly allows a pick and choose approach, without robust indicators of impact and effectiveness apart from the results of resource mobilization. Since the last Partnerships Forum, UN discourse has demonstrated a shift from an exclusive focus on the private sector to multi-stakeholder partnerships and UN reports have enumerated the constituencies of civil society, academia, foundations as well as the private sector as partners. The last decade has seen partnerships in the field of sustainable development burgeoning and diversifying at an accelerated rate. Sustainable Development Goal 17 … recognizes the critical importance of multi-stakeholder partnerships for the achievement of the SDGs in all countries. However, the UN gatekeepers/interlocutors are those with private sector experience and lack substantial engagement with a diverse array of constituencies, especially those with a public interest commitment and non-profit experience. By illustration, this year the Partnership Forum is co-organized by the United Nations Office for Partnerships (UNOP) and the United Nations Global Compact, two such interlocutors, together with the United Nations Department of Economic and Social Affairs (UN DESA). an update on the work of the UN Sustainable Development Group (UNSDG) – formerly known as UN Development Group or UNDG – Strategic Results Group on Partnerships. Additionally, UN partnerships are one of the six priority areas of the UN development system reform (see Global Policy Watch briefing #15: “The UN development system: Can it catch up to the 2030 Agenda?”). More recently attention to UN partnerships arrangements has escalated with the Secretary-General’s reform recommendations for the UN development system. His December 2017 report, “Repositioning the United Nations development system (UNDS) to deliver on the 2030 Agenda” (A/72/684), asserted that “partnership efforts remain fragmented and overly focused on ‘projectized’ activities” and that the UN “must do better to manage risks and ensure oversight” (para 131). The report outlined six partnership-focused work streams and made concrete proposals for improving UN partnership engagements, including measures to ensure increased transparency and accountability (paras 130-143). In May 2018 Member States responded positively to the Secretary-General’s reform proposals on re-aligning its leadership, capacities and accountability mechanisms to meet the demands in delivering on the 2030 Agenda by adopting resolution A/RES/72/279 “Repositioning of the United Nations development system in the context of the quadrennial comprehensive policy review of operational activities for development of the United Nations system”. This resolution included attention to the importance of partnerships but did not endorse any concrete directions regarding the Secretary-General’s proposals for partnership arrangements. With the adoption of the reform resolution attention has shifted to its implementation and the UNDS will report on progress to Member States on 21-23 May 2019 at the ECOSOC operational activities for development segment. Die agl unterstützt die drei Forderungen und hat den offenen Brief mit unterschrieben. Unter diesem Link kann er heruntergeladen werden. While global investment needs are enormous in order to bolster the implementation of the 2030 Agenda for Sustainable Development, developing countries are often excluded from global foreign direct investment (FDI) flows. Beyond economic fundamentals like market size, infra¬structure and labour, the impediments to FDI in developing countries relate to the predictability, transparency and ease of the regulatory environment. In contrast, tax incentives and international investment agreements (IIAs) have been found to be less important (World Bank, 2018). To harness the advantages of FDI, it is critical that governments have policies and regulations in place that help to attract and retain FDI and enhance its contribution to sustainable development. The 2030 Agenda and the Addis Ababa Action Agenda, thus, call for appropriate international frameworks to support investments in developing countries. In this context, the Joint Ministerial Statement on Investment Facilitation for Development adopted at the 11th Ministerial Conference of the World Trade Organization (WTO) in December 2017 called for the start of “structured discussions with the aim of developing a multilateral framework on investment facilitation”. Investment facilitation refers to a set of practical measures concerned with improving the transparency and predict¬ability of investment frameworks, streamlining procedures related to foreign investors, and enhancing coordination and cooperation between stakeholders, such as host and home country government, foreign investors and domestic corporations, as well as societal actors. Despite the deadlock in the WTO’s 17-year-old Doha Round negotiations, the structured discussions on investment facilitation, which have been under way since March 2018, show that the members of the WTO take a strong interest in using the WTO as a platform to negotiate new international rules at the interface of trade and investment. In contrast to previous attempts by developed countries to establish multilateral rules for investment, the structured discussions are mainly driven by emerging and developing countries. Most of them have evolved over the past years into FDI host and home countries reflecting the changing geography of economic power in the world. Their increased role has led to a shift of policy agendas, focusing on practical measures to promote FDI in developing countries while excluding contentious issues such as investment liberali¬sation and protection, and investor–state dispute settlement (ISDS). There is a need to properly conceptualise the scope of investment facilitation as a basis for empirical analyses of the potential impact of a multilateral IFF. 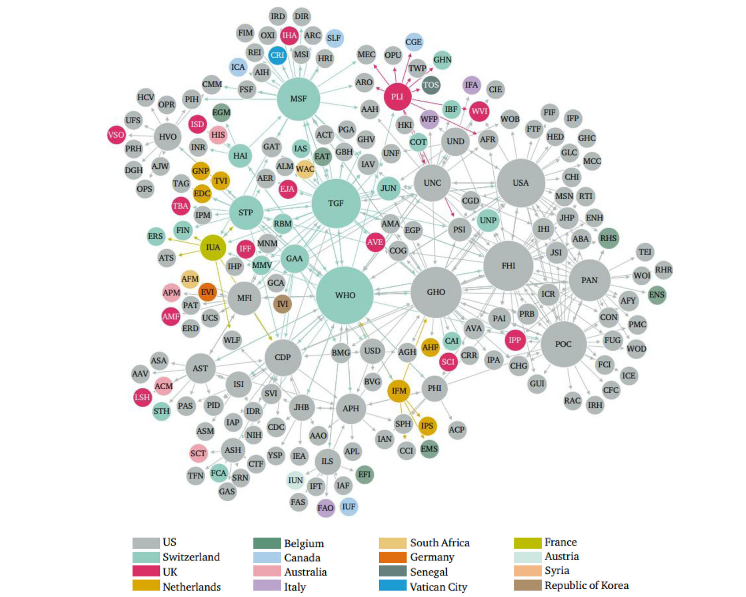 Many less- and least-developed countries do not yet participate in the structured discussions. It is necessary to enhance their capacity to participate in the structured discussions and address their specific concerns. In order to enhance the contribution of FDI to sustainable development it is necessary to support the development of governance mechanisms at the domestic level. It is key to ensure transparency towards countries not yet participating in the discussions, the business sector and societal actors to support a successful policy process. 1. Menschenrechte: Unternehmen in der Pflicht? Mehrere Medien, unter anderem Deutschlandfunk, die Deutsche Welle, die Augsburger Allgemeine Zeitung und die Rheinische Post, thematisieren heute die Debatte um das umstrittene Wertschöpfungskettengesetz. Union und SPD haben im Koalitionsvertrag vereinbart, deutsche Unternehmen notfalls gesetzlich in die Pflicht nehmen zu wollen, Menschenrechte und ökologische Standards bei Auslandsgeschäften einzuhalten. Ein Kritiker dieses Vorhabens sei der Chef der Arbeitgeberverbände, Ingo Kramer. Ihm zufolge sei ein solches Gesetz „Unsinn“, da deutsche Unternehmen für etwas haften sollen, was sie im Ausland nicht beeinflussen können. Entwicklungsminister Gerd Müller (CSU) wies diese Kritik zurück. Er betonte, dass Menschenrechtsverletzungen bei der Erzeugung von Produkten für den deutschen Markt nicht akzeptabel seien. Rückendeckung bekomme Müller nicht nur von den SPD-Ministern Hubertus Heil und Heiko Maas sowie verschiedenen Entwicklungsorganisationen, sondern nun auch von Vertreter*innen der Industrie: So sprechen sich zum Beispiel die Firmen Kik, Tchibo und Daimler für eine gesetzliche Verpflichtung aus. Müller wolle nun 2000 deutsche Firmen dazu befragen und anhand der Ergebnisse entscheiden, ob das Gesetz notwendig sei. Die Deutsche Welle, Deutschlandfunk und die Augsburger Allgemeine melden, dass Rücküberweisungen die wichtigste Devisenquelle für Entwicklungs- und Schwellenländer sind. Wie die Weltbank mitteilte, seien 2018 durch die im Ausland arbeitende Bevölkerung mehr als 470 Milliarden Euro in die Herkunftsländer zurückgeflossen. Das sei zehn Prozent mehr als noch im Vorjahr und das Dreifache der Mittel für Entwicklungszusammenarbeit. Zum ersten Mal sei in diesem Jahr die Summe der Rücküberweisungen höher als die der Auslandsdirektinvestitionen – wenn man China nicht berücksichtige. In zwei Artikeln thematisiert die Deutsche Welle die chinesische Präsenz in Sambia. China sei der wichtigste Geschäftspartner und größte Gläubiger des afrikanischen Landes. Chinesische Investitionen in Sambia seien in den letzten Jahren um das Zehnfache gestiegen. Nun wachse allerdings der Widerstand vonseiten der sambischen Bevölkerung. Da milliardenschwere Großprojekte von der sambischen Regierung meist an chinesische Staatskonzerne vergeben werden, kommen auch immer mehr Chines*innen nach Sambia. Viele Sambier*innen lehnen Chinas Engagement mittlerweile komplett ab. Sie stellen sowohl die Sinnhaftigkeit als auch die Qualität und Nachhaltigkeit der chinesischen Projekte in Frage. Die antichinesische Stimmung werde zudem von polarisierenden Medienberichten weiter angefacht. The post 10. April 2019 appeared first on ONE. Profilierte EU-Politiker*innen von fünf Parteien haben darüber diskutiert, inwieweit die EU noch ein Friedensprojekt ist und wie das die nachhaltige Entwicklung weltweit beeinflusst. Die Positionen lagen recht weit auseinander, und die Partei mit der entferntesten war gar nicht erst eingeladen. Zu der Diskussion haben die kirchlichen Hilfswerke Misereor und Brot für die Welt nach Berlin eingeladen. Gleich zu Beginn wies die Präsidentin von Brot für die Welt auf einen Widerspruch hin zwischen der deutschen und der europäischen Politik. Während die Bundesregierung im Koalitionsvertrag der zivilen Krisenprävention Vorrang einräumt vor militärischem Eingreifen, hat die EU-Kommission vorgeschlagen, Mittel für die Krisenprävention zu streichen und stattdessen in den sogenannten Verteidigungsfonds zu stecken. Cornelia Füllkrug-Weitzel meldete sich per Video-Botschaft zu Wort, da sie aufgrund einer Dienstreise verhindert war. Für Katarina Barley, die EU-Spitzenkandidatin der SPD, „muss die EU eine Abrüstungsmacht sein“. Dieses Ziel möchte sie über Sperrverträge etwa für Atomwaffen erreichen. In Sachen Krisenprävention sieht sie die EU bereits gut aufgestellt, „aber man kann da noch sehr viel mehr machen“. Gleichzeitig hält sie ein gewisses Maß an Verteidigungsausgaben für sinnvoll, und die sollten in Deutschland endlich wieder in funktionierende Ausrüstung und Waffensysteme der Bundeswehr fließen. Daniel Caspary, EU-Abgeordneter der CDU, will „nicht unbedingt mehr Geld für Verteidigung, aber mehr Verteidigung fürs Geld“. Das heißt, die EU solle effizienter mit ihren Verteidungsausgaben umgehen und neue Waffensysteme zum Beispiel einmal gemeinsam entwickeln statt mehrmals nebeneinander. Ihm fällt es zudem schwer mit anzusehen, wie viele Menschen in Syrien oder den Kriegen Afrikas sterben. Besser fände er, wenn die EU sich früher und stärker engagiert, um das Blutvergießen zu beenden. Klar gegen teure Militär-Aktionen und Rüstungsprojekte war Ska Keller, die EU-Spitzenkandidatin der Grünen. Sie will deutlich mehr Geld in die Prävention stecken, um Blutvergießen schon im Vorfeld zu verhindern. Experten sind sich einig, dass das deutlich weniger kostet, als Kriege im Nachhinein zu beenden, ganz abgesehen von dem menschlichen Leid. Deshalb findet Keller mehr Geld für den Verteidigungsfonds fehl am Platz. Die EU sollte „den 17 Panzer-Projekten der Mitgliedstaaten nicht das 18. hinzufügen“, was außerdem eine unnötige Finanzspritze für die Waffen-Industrie wäre. Özlem Demirel, die EU-Spitzenkandidatin der Linken, machte erst mal einen Unterschied zwischen Verteidigung und Militär-Interventionen. Das erste sieht ihre Partei unproblematisch, das zweite nicht. Dann wies sie auf die enorme Leistung der EU hin, dass ihre Mitglieder in Frieden leben, und lenkte den Blick auf die vielen tödlichen Konflikte außerhalb dieser friedlichen Insel. Hier müsse die EU viel mehr Verantwortung übernehmen, aber nicht über den sogenannten Verteidigungsfonds, in den jedes Jahr sieben Milliarden Euro fließen. Mit dem Etat könne man innerhalb von zwei Jahren den akuten Hunger auf der ganzen Welt beenden. Till Mansmann von der FDP hat die wichtige Rolle des Militärs hervorgehoben, bessere Ausrüstung für die Bundeswehr gefordert und sich Synergie-Effekte bei Rüstungszielen auf europäischer Ebene gewünscht. Krisenprävention erwähnte er nicht. Er sprang kurzfristig für die verhinderte EU-Spitzenkandidatin der FDP ein, Nicola Beer. Ein Vertreter der AfD war nicht eingeladen, da die Partei in ihrem Wahlprogramm die Auflösung der EU fordert. Deshalb haben die Hilfswerke keinen Sinn darin gesehen, sie zur Zukunft der EU zu befragen. Cornelia Füllkrug-Weitzel hat in ihrer Video-Botschaft klar gemacht, dass die EU, wenn sie ihrem Anspruch als Friedensprojekt heute noch gerecht werden will, ihre Rolle als Friedensakteur und Stabilisator des Weltfriedens bedenken muss. Ihre Dienstreise führte sie übrigens nach Kenia zu Partnern von Brot für die Welt, die zahlreiche Friedensprojekte umsetzen und das mit großem Erfolg. Ein weiterer Schwerpunkt war die Bewahrung der Schöpfung im Angesicht der drohenden Klimakrise. Während SPD, CDU und FDP sich einig waren, dass man das Soziale nicht gegen die Ökologie auspielen dürfe, zogen sie doch unterschiedliche Schlüsse daraus. Barley unterstützt zwar den Ausstieg aus der Braunkohle, doch behutsam und mit sozialer Absicherung der zurzeit dort Beschäftigten, damit nicht die Klimawandel-Leugner der AfD Zulauf bekommen. Caspary waren die Arbeitsplätze in der Auto-Industrie wichtig, er machte aber keinen konkreten Vorschlag zu einem ökologischen Wandel der Branche. 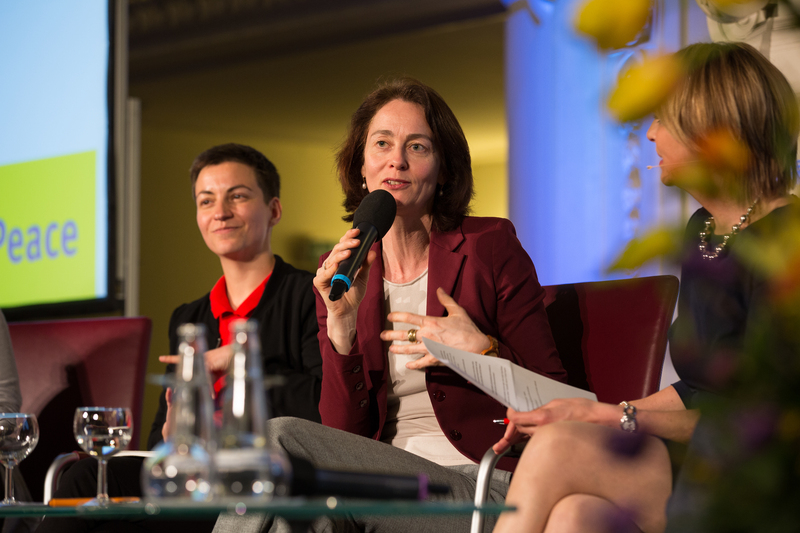 The third Global Solutions Summit in Berlin, Germany kicked off with calls for a paradigm change to recouple social, economic and political progress. Some 1,200 individuals attended the Global Solutions Summit, a Think20 Japan associated event, with 221 speakers from 120 countries giving presentations in 60 sessions. “This research community is connected to communities of business leaders and policymakers worldwide, cognizant that none can achieve their goals independently of the others,” Global Solutions President Dennis J. Snower said. This is the third summit supporting the T20 process, helping establish the international think-tank network as the intellectual backbone of the G20. The summit program is focused on priorities set by the Japanese G20 Presidency’s 2019 Task Forces: sustainable development, infrastructure finance, financial architecture, trade and investment, climate change, future of work and education, social cohesion and the future of politics, SME policy, and policies for aging populations. Together, the world’s leading think tanks will guide policy innovations to help G20 leaders address pressing global challenges. The summit welcomed German Chancellor Angela Merkel, EU Commission Vice President Frans Timmermans and G20 Sherpas from Germany (2017), Argentina (2018) and Saudi Arabia, which holds the T20/G20 Presidency in 2020. GSI President Snower also presented Chancellor Merkel with this year’s new edition of the Global Solutions Journal. Download the journal here. In the months following the Global Solutions Summit, T20 Japan will finalize its work on the Task Force Policy Briefs. These Policy Briefs will then be presented at the T20 Japan Summit in Tokyo, Japan in May and available on the G20 Insights platform soon. The post ﻿Global Solutions Summit opens with the G20 Japan’s research and policy advice network appeared first on G20 Insights. Die Zielmarke zur Erreichung der Nachhaltigen Entwicklungsziele rückt immer näher, doch die bisherigen Fortschritte lassen zu wünschen übrig. Nun soll ein Globaler Aktionsplan der WHO SDG3 voranbringen. Besonders SDG 3, das ein „gesundes Leben für alle Menschen jeden Alters gewährleisten und ihr Wohlergehen fördern“ soll, wird nach aktuellem Stand bis 2030 nicht erreicht. Business as usual reicht nicht aus um diesen Trend umzukehren. Das erkannten auch die Regierungen von Deutschland, Ghana und Norwegen und forderten im April 2018 von der Weltgesundheitsorganisation (WHO) Lösungen, um SDG 3 schneller zu erreichen. Dabei lag der Schwerpunkt auf einer verbesserten Zusammenarbeit der vielfältigen Akteure im Gesundheitsbereich. Die WHO sollte den Prozess anleiten und so auch ihr Kernmandat — nämlich die globalen Gesundheitsbemühungen zu koordinieren — stärker als bisher wahrnehmen. Viele NGOs, darunter Brot für die Welt, befürworteten diesen Anstoß sehr, bemängeln sie doch schon lange die Fragmentierung im Gesundheitsbereich und die schwache Positionierung der WHO in der Gesundheitslandschaft. Seit vor 17 Jahren der Globale Fonds zur Erreichung von Aids, Tuberkulose und Malaria und die Impfallianz Gavi gegründet wurden, sind an die 100 Gesundheitsinitiativen hinzugekommen, die jedoch wenig abgestimmt mit- und häufig parallel zueinander agieren. Dadurch gehen Effizienz und mögliche Synergien verloren, die Länder leiden unter hohen Transaktionskosten. Vielfach werden dabei zudem nationale Gesundheitsprioritäten vernachlässigt, um den Partnern (und Gebern) gerecht zu werden. Um dem also entgegenzuwirken sicherte die WHO zu, gemeinsam mit bis dato elf weiteren globalen Partnern* einen „Global Action Plan for healthy lives and well-being for all“ (GAP) zu erarbeiten. Der offizielle Startschuss dafür wurde auf dem World Health Summit im Oktober 2018 in Berlin gegeben. Nur ein Jahr später, im September 2019, bei einem UN-Treffen mit den Regierungsspitzen der Welt, soll der ausgearbeitete GAP vorgestellt werden. Dementsprechend findet gerade die heiße Phase zur Entwicklung des Plans statt. Doch was bedeutet das konkret? Diese Frage lässt sich nicht so einfach beantworten. Der gesamte Prozess ist bisher undurchsichtig. Die neuesten Informationen auf der WHO Website stammen von Dezember 2018, Aktuelles ist kaum bekannt. Und das, obwohl es nur noch sechs Monate bis zur Vollendung des GAP sind — Konsultationen mit verschiedenen Akteursgruppen, wie Regierungen und Zivilgesellschaft, sollten laut offiziellem Zeitplan längst stattfinden. Nachfragen bei der WHO ergaben, dass sich der Prozess bisher auf globaler Ebene unter den unterzeichnenden Partnern abspiele und dass erst in einem späteren Schritt die Beteiligung von Mitgliedsstaaten oder anderen Akteuren geplant sei. Der richtige Weg, um einen sinnvollen GAP zu entwickeln? Aus Sicht von Brot für die Welt ist dies zweifelhaft. Würden frühzeitig alle relevanten Akteure eingebunden, könnte sichergestellt werden, dass im GAP die Belange der Länder und nicht die Interessen der zwölf Unterzeichnenden im Vordergrund stehen. Die fehlende Anbindung des GAP an lokale Herausforderungen wurde deutlich in einem Fachgespräch zum Aktionsplan, das vor wenigen Tagen in Berlin stattfand. Während die anwesenden Regierungsvertreter betonten, dass fehlendes Gesundheitspersonal eines der größten Hindernisse sei, um SDG 3 zu erreichen, wird dieser Aspekt in den sieben Accelerators (Beschleunigern), das Kernstück des GAP, kaum aufgegriffen. Dabei stellt der Mangel an Fachkräften Gesundheitssysteme weltweit vor große Herausforderungen. Die Partnerorganisationen von Brot für die Welt beklagen seit vielen Jahren diesen Zustand. Auch die WHO hat diese Krise erkannt und schon 2010 empfohlen, Gesundheitsarbeit an „Health Workforce“, als eine der sechs grundlegenden Säulen eines jeden Gesundheitssystems, auszurichten. Doch die Ursachen des Problems — beispielsweise mangelnde Ausbildung und Arbeitsplätze, aber auch arbeitsbedingte Migration und nicht zuletzt die aktive Abwerbung von Personal durch andere Länder — standen bisher zu wenig im Zentrum der gemeinsamen Bemühungen der Gesundheitsakteure. Empfehlungen von NGOs, deshalb „Health Workforce“ als weiteren Accelerator des GAP hinzuzufügen, wurden bisher abgelehnt. Aus Sicht von Brot für die Welt wäre es sinnvoll, auch frühzeitig zivilgesellschaftliche non-profit Organisationen zu beteiligen. In vielen Ländern sind sie es, die Gesundheitsdienste vollbringen, in fragilen Kontexten und schwer erreichbaren Gebieten vielfach sogar die Einzigen. Nicht zuletzt sind zivilgesellschaftliche Organisationen qua Mandat dem Gemeinwohl verpflichtet und grenzen sich dadurch von profitorientierten Akteuren ab. Sie stellen also ein sinnvolles Korrektiv im Zusammenspiel zwischen Regierungen und privaten Institutionen dar und können sicherstellen, dass Lösungsansätze im Sinne des Gemeinwohls entschieden werden. Wer sich mit den unterzeichnenden Partnern des GAP befasst wird schnell feststellen, dass wirtschaftsnahe Stiftungen aber auch Pharmaunternehmen unter deren Hüten vereint sind und ein solches Korrektiv daher angebracht sein kann. Die WHO würde gut daran tun, sich durch die Zivilgesellschaft beraten zu lassen, um am Ende einen realisierbaren Aktionsplan zu erreichen. Deshalb stehen nationale und internationale NGOs seit Monaten bereit zu unterstützen, aber ihre Expertise wurde bisher von der WHO nicht abgerufen. Ist die WHO in der Lage, ihr Kernmandat zu erfüllen? Von einigen wird der GAP gar als Lackmustest für die Handlungsfähigkeit der WHO gesehen. Wie viele UN Organisationen, befindet sie sich in einer massiven Finanzkrise. Die Beiträge der Mitgliedsstaaten stagnieren seit langem und das Kernbudget reicht nicht aus, um die Programmprioritäten umzusetzen. Nur durch freiwillige Spenden, mittlerweile 80 Prozent des WHO Budgets, bleibt die WHO handlungsfähig. Bis auf einen sind alle GAP Partner zugleich auch Geldgeber der WHO. Dadurch steckt die WHO in einem klassischen Interessenkonflikt. Fraglich ist, ob sie in dieser Zwickmühle tatsächlich ihr Mandat erfüllen kann, eine übergeordnete, koordinierende Instanz zu sein, oder ob sie nicht eher zwischen den Partikularinteressen der einzelnen Akteure hin und her lavieren muss. Noch besteht die Möglichkeit, den GAP in die richtige Richtung zu lenken. Die WHO muss jetzt handeln und die Führung übernehmen. Sie sollte alle Akteure an den Tisch bringen, es sollten die diversen Interessen offengelegt und ein gemeinsamer Nenner gefunden werden. Nur dann kann am Ende ein Aktionsplan entstehen, der anerkannt und erfolgreich umgesetzt wird. Wir sind uns alle einig, dass ein „business as usual“ nicht ausreicht, um SDG3 und am Ende eine Verbesserung für alle Menschen weltweit zu erreichen. Bis zum UN High Level Meeting ist es noch ein gutes halbes Jahr. Es wird Zeit, die Energie zu bündeln und dem Anspruch „for healthy lives and well-being for all“ gerecht zu werden. Der Beitrag Ernährungssicherheit in einer verletzlichen Region erschien zuerst auf MISEREOR-Blog. PNG is a vast South Pacific archipelago burdened by poverty, although it is very rich in natural resources. In the highlands of PNG, tribal conflicts occur frequently. Women and children are particularly threatened by violence. Traditionally, fights between tribes erupt over land disputes, the bride price of women or the possession of pigs. For instance, the ongoing Tigibi tribal war broke out in 2013 over a family quarrel, first fought with bows and arrows and later escalating into shooting with semi-automatic assault rifles. Crops were destroyed and villages left empty. “When the other tribe attacked, they burned down our house and vegetable garden. We had to run for our lives,” recounts Alice Bibe, mother of four small children, who used to live in Tari Town in Hela Province. The proliferation of guns has exacerbated these tribal conflicts. Furthermore, governance structures at all levels are weak, leading to a breakdown of law and order. One more recent cause of inter-tribal violence concerns the allocation of royalties from extractive industries operating in the region. A huge $ 19 billion Exxon-led liquefied natural gas (LNG) project is located in the highlands. Many promises were made to the tribal people about jobs and profits for the local economy. The LNG company build its pipelines through tribal land. However, the royalties to landowners and levies to communities remain far below the promised sums. Some people are perceived to get wealthy while others are not. Jealousy over assets like cars arose. This issue has fuelled a strong sense of discontent in the poor region, resulting in rising tensions. Fighting leads to displacement, but host communities in other areas not always welcome the newly arriving families. Many women are widowed which exposes them and their children to exploitation, sexual assault and food insecurity. Despite their vulnerability, however, women in PNG play a prominent role in conflict resolution. They are perceived as “neutral”, since their connection to a local group is commonly through marriage rather than descent. “Women are more easily accepted as advocates for peace,” says Sarah Garap, director of the women’s organisation Meri I Kirap Sapotim. Women also draw on indigenous customs of peacebuilding like gift exchange. They are usually the first to return to communities in the aftermath of conflict and act as the pioneers of peace and reconciliation. Anggia Anggraini Burchill is a gender and protection specialist with UN Women. She lives in Port Moresby, Papua New Guinea. Schon gewusst? Bei der Teeernte werden für die beste Qualität nur zwei Blätter und die Knospe gepflückt. Für UNICEF-Mitarbeiterin Bettina Kaltenhäuser steht dieses Bild auch für die Art der Zusammenarbeit zwischen UNICEF und der indischen Gesellschaft. Hier berichtet sie von ihrer Reise nach Indien. Erst kam Anfang der Woche der ‘Tiger’-Index von Financial Times und Brookings mit der Diagnose, dass sich die Weltwirtschaft in einem “synchronisierten Abschwung” befindet. Dabei steht die Abkürzung ‚Tiger‘ eigentlich für ‚Tracking Index of global economic recovery‘. Doch von einem globalen Wirtschaftsaufschwung kann derzeit nirgendwo die Rede sein. Zum wiederholten Male hat der IWF in seinem jüngsten World Economic Outlook die Wachstumsprognosen nach unten korrigiert. Verglichen mit den Prognosen vom letzten Oktober sind die Vorhersagen rückläufig, mit der einzigen Ausnahme von China, dessen Wachstum 2019 wieder leicht zulegen dürfte. Eine schwache Hoffnung ist es da, wenn die IWF-Ökonomen darauf spekulieren, dass die wirtschaftliche Stabilisierung in Emerging Economies wie der Türkei und Argentinien der Weltwirtschaft neuen Schwung geben könnte. Doch der Hauptgrund der Stimmungseintrübung auf dieser Frühjahrstagung ist nicht wirtschaftlicher, sondern politischer Natur. Er liegt in der brachialen Machtpolitik, mit der die USA ihren Kandidaten David Malpass als Präsident der Weltbank durchgesetzt haben, wobei kein anderer Mitgliedsstaat protestierte oder auch nur einen Gegenkandidaten nominierte. Damit feiert jenes ‚Gentlemen’s Agreement‘ fröhliche Urständ‘, in dem sich die Hauptindustrieländer vor 75 Jahren darauf verständigt haben, dass die Weltbank jeweils von einem US-Amerikaner und der IWF von einem/r Europäer*in geführt wird. Bescheidene Reformhoffnungen kamen auf, als man sich nach dem Amtsantritt von Malpass‘ Vorgänger Jim Yong Kim darauf geeinigt zu haben schien, dass Auswahlverfahren künftig nach den Kriterien der Transparenz, der Qualifikation und Erfahrung der Kandidaten zu gestalten. Ein krasseres Beispiel für ‚bad governance‘ an der Spitze einer internationalen Institution hätte man sich kaum vorstellen können. Dabei betrifft dies nicht nur das Procedere, wie die „Wahl“ von Malpass im Vorstand der Weltbank durchlief. Noch im Februar hatte die Regierung des Libanon mit Ziad Hayek einen Gegenkandidaten ins Rennen geschickt, diesen dann aber bald auf „politischen Druck“ anderer Regierungen hin wieder zurückgezogen. Malpass hat nicht nur eine schlechte Reputation, was wirtschaftliche Vorhersagen betrifft. In seiner Zeit bei der inzwischen bankrotten Bear Stearns-Bank hatte er kurz vor der Finanzkrise ein rosiges Bild gezeichnet und die Möglichkeit einer Großen Rezession zurückgewiesen. Es wäre schwierig, sich vorzustellen, dass die Suche nach einem qualifizierten Kandidaten mit einer Vision für die immer noch wichtigste Entwicklungsbank der Welt zur Nominierung des bisherigen Unterstaatssekretärs für internationale Finanzen David Malpass führen könnte, munkelten führende Kongressabgeordnete der Demokraten. Was unter dem neuen Mann von der Weltbank zu erwarten ist, lässt sich schwer sagen. Die Spekulationen reichen von einer Abkehr von der Klimapolitik über eine noch stärkere Indienststellung der Bank für den privaten Sektor bis hin zur Instrumentalisierung der Kreditvergabe und eine konzeptionelle Umsteuerung gegen China. Keine dieser Perspektiven macht Lust, den in dieses Jahr fallenden 75. Jahrestag der Bretton-Woods-Zwillinge zu feiern. Der Wahl zum EU-Parlament Ende Mai kommt große Bedeutung zu. Wird das „Friedensprojekt Europa“ gestärkt? Kommt es zu neuen Impulsen für eine weltweite nachhaltige Entwicklung - oder verstärken sich Tendenzen, die die EU als Wertegemeinschaft in Frage stellen? Darüber haben wir mit Spitzenkandidatinnen und -Kandidaten für die Wahl zum EU-Parlament disktutiert. Der Beitrag Friedensprojekt Europa!? erschien zuerst auf MISEREOR-Blog. Hannover, 10. April 2019. Eine zukunftsfähige, menschenrechtsbasierte Bevölkerungspolitik bedarf einer weltweiten Durchsetzung sexueller und reproduktiver Selbstbestimmung sowie der Gleichstellung der Geschlechter. Doch davon sind wir trotz aller in der Vergangenheit erzielten Erfolge noch weit entfernt. 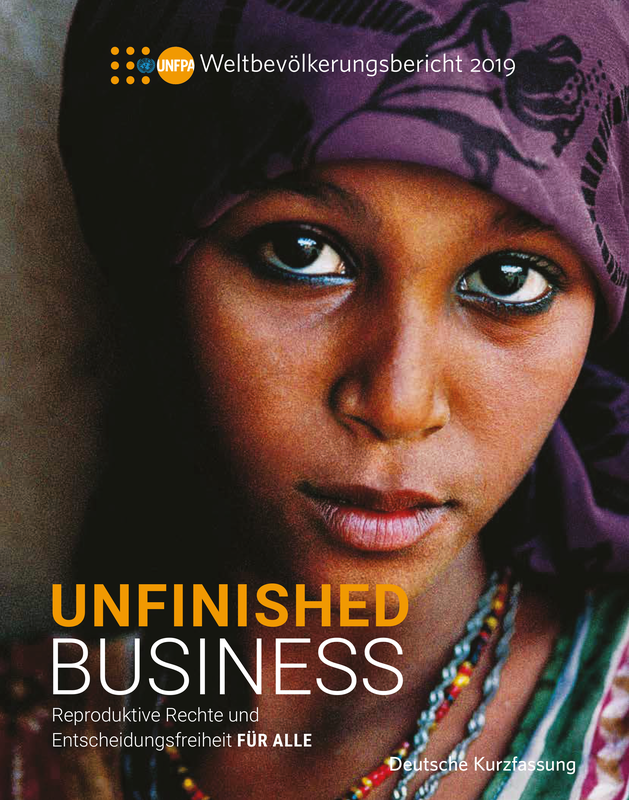 Zu diesem Schluss kommt der diesjährige Weltbevölkerungsbericht, den der UN-Bevölkerungsfonds UNFPA unter dem Titel Unfinished business – Reproduktive Rechte und Entscheidungsfreiheit FÜR ALLE im Jahr seines 50-jährigen Bestehens heute in Berlin vorlegte. „Universeller Zugang zu sexueller und reproduktiver Gesundheit und Rechten – insbesondere für Mädchen, Frauen und Jugendliche – ist entscheidend für die Erreichung der in der Agenda 2030 für nachhaltige Entwicklung formulierten Ziele“, betont UNFPA-Exekutivdirektorin Dr. Natalia Kanem. Diese Überzeugung stand bereits im Zentrum der Kairoer Weltbevölkerungskonferenz 1994, auf der erstmals Bevölkerungs-, Entwicklungs- und Frauenrechtspolitik verbunden wurden. Noch immer sind zentrale Aspekte sexueller und reproduktiver Gesundheit und Rechte wie umfas­sende sexuelle Aufklärung und Zugang zu zuverlässigen Verhütungsmitteln, Informationen und Dienstleistungen durch politische, ökonomische und soziale Umstände sowie durch kulturelle Normen beeinträchtigt. Insbesondere die fehlende Geschlechtergerechtigkeit, Gender-Normen und deren Auswirkungen auf zwischenmenschliche Beziehungen stehen der Umsetzung des Kairoer Aktionsprogrammes im Wege. Geschätzte 214 Millionen Frauen und Mädchen weltweit haben heute noch immer keinen Zugang zu modernen Verhütungsmitteln – das ist jede vierte Frau im gebärfä­higen Alter in Entwicklungsländern. „Es ist höchste Zeit“, so DSW-Geschäftsführerin Renate Bähr, „die Themen von Kairo noch stärker in die aktuellen Entwicklungs-Strategien zu integrieren. Ein Engagement für eine globale nach­haltige Entwicklung kann nur gelingen, wenn die sexuellen und reproduktiven Rechte und die Entscheidungsfreiheit aller Menschen umgesetzt werden. Dafür müssen vor allem der universelle Zugang zu Verhütungsmitteln ermöglicht, die Versorgung bei Schwangerschaft und Geburt gewährlei­stet sowie Aufklärung und Bildung für junge Menschen deutlich verbessert werden. Regionale und globale Allianzen zivilgesellschaftlicher und staatlicher Organisationen stellen sich mit UNFPA hinter das Kairoer Aktionsprogramm. Sie arbeiten gemeinsam daran, eine menschenrechts­basierte Bevölkerungsentwicklung zu ermöglichen. Diese Bemühungen müssen intensiviert werden, damit alle Jugendlichen aufgeklärt, alle Schwangerschaften gewollt und alle Geburten sicher sind. UNFPA fördert eine Welt, in der jede Schwangerschaft gewollt, jede Geburt sicher und das Potenzial jedes jungen Menschen verwirklicht wird. Die DSW ist eine international tätige Entwicklungsorganisation. Ziel unserer Arbeit ist es, zur Umsetzung des Menschenrechts auf Familienplanung und zu einer zukunftsfähigen Bevölkerungsentwicklung beizutragen. Jugendliche sind daher die wichtigste Zielgruppe unserer Projekte. Auf nationaler und internationaler Ebene bringen wir uns in politische Entscheidungsprozesse in den Bereichen Gesundheit, Familienplanung und Gleichstellung der Geschlechter ein. Der Beitrag UNFPA-Weltbevölkerungsbericht 2019: Selbstbestimmungsrecht bleibt Zukunftsmusik erschien zuerst auf DSW. Dabei stützt sie sich auf die Schutz-agenda für Katastrophenvertriebene, die auf der Basis regionaler Konsultationen von der 2011/12 ins Leben gerufenen multilateralen Nansen-Initiative erarbeitet wurde. 2015 konnte sie mit der Unterstützung von 109 Staaten verabschiedet werden. Die Plattform wurde anlässlich des Humanitären Weltgipfels 2016 vom damaligen deutschen Außenminister Frank-Walter Steinmeier lanciert, um die Arbeit der Nansen-Initiative (siehe Beitrag von Sabine Balk im Schwerpunkt E+Z/D+C e-Paper 2017/4) weiterzuführen. Der erste Vorsitzende war Deutschland, das durch Bangladesch abgelöst wurde. Der nächste Vorsitzende wird Frankreich sein. Die Plattform hat das Ziel, die Schutzagenda in die internationalen Prozesse einzubringen. Sie hat maßgeblich dazu beigetragen, dass das Thema Flucht und Vertreibung im Kontext von Klimawandel und Kata­strophen Eingang in den UN-­Migrationspakt, den Sendai ­Aktionsplan für Katastrophenrisikominderung und die Klimaverhandlungen von Paris gefunden hat. In Paris wurde beschlossen, dass eine Task Force on Climate Change and Displacement eingesetzt wird, an der die Plattform auch mitwirkt. Mit Feuerwerk und Freudenschüssen feierten Libanesen Ende Januar die Bildung der neuen Regierung. Mehr als acht Monate politischer Krise waren überwunden. Die Menschen im Land schöpften Hoffnung, dass sich dieser Schritt positiv auf die Wirtschaftslage auswirken würde. Die Syrer im Libanon hatten dagegen weniger Grund zum Feiern. Der neue Minister für Flüchtlingsangelegenheiten Saleh Gharib gehört zu jener Fraktion in der libanesischen Regierung, die loyal zum syrischen Präsidenten Bashar al-Assad steht. So war auch die erste Amtshandlung des Ministers nicht etwa der Besuch eines der vielen informellen Camps für syrische Flüchtlinge, sondern eine Stippvisite in Damaskus. Dort schloss er sich den offiziellen syrischen Verlautbarungen an, in denen es heißt, dass Syrien nun sicher sei und alle zurückkehren könnten. Dieser Besuch hat Unruhe unter den Flüchtlingen verursacht. Die Angst ist groß, dass es zu Zwangsrückführungen kommen könnte. Seit dem Beginn der Auseinandersetzungen zwischen dem syrischen Regime und bewaffneten Oppositionsgruppen 2011 mussten Millionen Menschen ihre Heimat verlassen. Über 5 Millionen Syrer überquerten die Grenze in die Nachbarländer, vor allem die Türkei, Jordanien und den Libanon. Ungefähr eine Million syrische Flüchtlinge sind beim UN-Flüchtlingshilfswerk im Libanon registriert (947 000 Stand Januar 2019). Hinzu kommt eine unbekannte Zahl an nichtregistrierten Syrern. So sind etwa 20 Prozent der Bevölkerung im Libanon Syrer. Die meisten Menschen, die vor dem Krieg geflohen sind, haben sich in den Grenzgebieten im Norden und Osten des Landes niedergelassen. Diese Gebiete gehören zu den ärmsten Regionen des ­Libanons. Nasser Yassin vom Issam Fares In­stitute for Public Policy and International Affairs an der Amerikanischen Universität in Beirut (AUB) beschreibt die Situation ­sowohl in der libanesischen Aufnahme­gesellschaft als auch bei den syrischen Flüchtlingen im Libanon als einen ­„Zustand der Erschöpfung“. Ungefähr 70 Prozent der Syrer leben unterhalb der Armutsgrenze in menschenunwürdigen Zuständen (siehe dazu auch meinen Beitrag im Schwerpunkt im E+Z/D+C e-Paper 2017/05). Über die Hälfte der syrischen Kinder im Alter zwischen drei und 18 Jahren gehen nicht zur Schule. Die Mehrheit der Libanesen, die in den Gebieten leben, in denen Syrer sich aufhalten, machen die Flüchtlinge für Engpässe bei der Strom- und Wasserversorgung verantwortlich. Proteste von Libanesen gegen syrische Geschäfte, weil sie ihnen mit niedrigen Preisen die Kunden wegschnappen, sind keine Seltenheit. Für diese Situation gebe es mehrere Gründe, erläutert Yassin. Das Ausmaß der Einwanderung sei einfach zu groß für den Libanon. Der Zedernstaat ist ein politisch fragiles Land, das seine bewaffneten Konflikte der vergangenen Jahrzehnte noch nicht aufgearbeitet hat – von den innen­politischen Spannungen ganz zu schweigen. Hinzu kommt der desolate Zustand der Infrastruktur. Das Verhältnis zwischen Libanesen und syrischen Flüchtlingen wird laut dem Wissenschaftler auch stark von den früheren Erfahrungen der Libanesen mit den palästinensischen Flüchtlingen im Land beeinflusst. „Im kollektiven Gedächtnis vieler Libanesen hat sich eine negative Grundeinstellung gegenüber Flüchtlingen festgesetzt“, sagt Yassin. Eine Rolle spiele auch der Rückgang der internationalen Solidarität in der Welt. Der Aufstieg der populistischen rechten Bewegungen in den Ländern des globalen Nordens habe die Haltung dieser Länder zu Flüchtlingen verändert. Die Bereitschaft, Menschen auf der Flucht aufzunehmen, sei zurückgegangen. Diese Faktoren werden noch verstärkt durch das Fehlen einer klaren und durchdachten Strategie und Haltung des libanesischen Staates: „Jede Gruppe oder lokale Macht im Land strickt an ihrer eigenen Politik gegenüber den syrischen Flüchtlingen, je nach ihren politischen und populistischen Interessen“, sagt der Wissenschaftler. Ein Rückblick auf die Vorgehensweise libanesischer Behörden mit den syrischen Flüchtlingen in den vergangenen Jahren bestätigt die Analyse von Nasser Yassin. Bis Anfang 2015 konnten Syrer ohne Visa in den Libanon einreisen. Das war Teil einer sehr engen, aber nicht unproblematischen Beziehung der beiden Länder seit der Unabhängigkeit beider Staaten. Die Flüchtlinge kamen legal über die Grenze, konnten sich frei über das ganze Land verteilen und sich beim UN-Flüchtlingshilfswerk registrieren. Immer wieder gab es Diskussionen und Pläne, Lager zu errichten. Die Menschen sollten zentral aufgenommen und versorgt werden. Konkret wurden diese Überlegungen nie. Angesichts der Erfahrungen des Libanon mit den Lagern der Palästinenser, die sich in dauerhafte Einrichtungen verwandelt haben, war diese Idee nie populär. Stattdessen führte das Innenministerium als eine Art Regulierung Einreisebeschränkungen ein, hohe Gebühren für die Verlängerung des Aufenthalt und das Kafala-System (Bürgschaft) für Syrer. Flüchtlinge kamen trotzdem, aber fortan illegal über die grüne Grenze. Den meisten Syrern war es aus finanziellen Gründen nicht möglich, ihren Aufenthalt zu verlängern. Die Folgen sind katastrophal: Über 70 Prozent der Syrer im Zedernstaat haben keinen gültigen Aufenthaltsstatus. Sie müssen illegal arbeiten. Hunderttausend Menschen sind Opfer von Ausbeutung einheimischer Arbeitgeber und Schikanen der Sicherheitsbehörden. Khalil Jebara, ehemaliger Berater des Innenministeriums, gibt zu, dass der illegale Status Hunderttausender Syrer im Land nicht im Interesse des Libanon sei, da er den Überblick und die Kontrolle über die Menschen, die sich auf seinem Territorium aufhalten, verliere. Aber der Staat sei unfähig, eine konstruktive Politik gegenüber den syrischen Flüchtlingen auszuarbeiten, weil jede der verschiedenen libanesischen politischen Kräfte, die auch in der Regierung vertreten ist, eine eigene Lesart der Krise in Syrien und somit des Umgangs mit den Flüchtlingen im Land hätte. Der Minimalkonsens aller Fraktionen ist: „Nein“ zum Tawtin, zur festen Ansiedlung der Flüchtlinge, Nein zum erleichterten Zugang zu Arbeit. Vergleicht man jedoch den Umgang des libanesischen Staates mit den Flüchtlingen aus Syrien mit der Politik gegenüber anderen Flüchtlingsgruppen im Land – Palästinenser, Iraker, oder auch ausländische Arbeiter aus asiatischen und afrikanischen Ländern –, dann ist die Wiederholung eines Musters erkennbar. Menschen werden an den Rand der Gesellschaft gedrängt und entrechtet. Nizar Shaghiyeh, Rechtsanwalt und Chefredakteur von Legal Agenda, sieht darin die Produktion von Rechtlosigkeit und Armut. So lautet auch die Publikation der gleichnamigen Organisation, die die rechtlichen Entwicklungen im Libanon aufarbeitet. Ein Teil dieses Musters ist der starke Fokus auf den Sicherheitsaspekt. Alle Flüchtlinge werden als potenzielles Sicherheitsrisiko eingestuft. Nach Angaben der United Nations Relief and Works Agency for Palestine Refugees in the Near East (UNRWA) sind im Libanon 422 000 palästinensische Flüchtlinge registriert. Die tatsächliche Zahl der Palästinenser ist allerdings viel niedriger – ungefähr 170 000, wie eine Zählung aus dem Jahr 2017 zeigt. Es sind Nachfahren der Menschen, die bei der Staatsgründung Israels und während der Kriege 1948 und 1967 ihr Land verlassen und in den Nachbarländern Zuflucht finden mussten. Viele Palästinenser leben in den Lagern von damals, die sich in den vergangenen Jahrzehnten zu Stadtteilen entwickelt haben, oft auch zu Slums. Obwohl die Palästinenser seit Generationen im Libanon leben, verwehrt ihnen der Staat viele Rechte. Viele Berufe, besonders die besserqualifizierten, dürfen sie nicht ausüben. Eigentum außerhalb der Lager zu erwerben ist verboten. Die staatliche Sozial- und Krankenversicherung bleiben ihnen weitgehend verschlossen. Palästinensische Kinder sind von staatlichen libanesischen Schulen ausgeschlossen (siehe hierzu auch meinen Beitrag im Schwerpunkt des E+Z/D+C e-Papers 2017/01). Bei der staat­lichen Universität werden sie wie Ausländer behandelt und unterliegen einer Quote. Mit dieser Politik versuchen libanesische Regierungen seit Jahrzehnten das sogenannte Tawtin, die feste Ansiedlung der Palästinenser im Libanon, zu verhindern. Die Folge dieser Diskriminierung ist sozialer Abstieg und Armut. Die Internationale Arbeitsorganisation ILO hat in einer Studie 2012 festgestellt, dass die Hälfte der Palästinenser im Libanon nicht mehr als 333 Dollar monatlich verdienen. Laut dem Kinderhilfswerk UNICEF besuchen 96 Prozent der sechs- bis elfjährigen palästinensischen Jungen und Mädchen eine Schule. Im Alter von 12 bis 14 sind es nur noch 63 Prozent und von 15 bis 17 nur noch 40 Prozent. Viele Jugendliche gehen arbeiten. Die einzige Möglichkeit für Palästinenser, ein besseres Leben zu führen, ist die Auswanderung in andere Länder. Deswegen ist es nicht verwunderlich, dass ihre Zahl im Libanon stetig abnimmt. Die Rückkehr nach Palästina bleibt eine Utopie. Anders ist die Situation für die Syrer. Die Heimat ist zugänglich, allerdings fehlen die Voraussetzungen für eine freiwillige, sichere und würdige Rückkehr, auch wenn in vielen Landesteilen keine Kriegshandlungen mehr stattfinden. Ob und wann diese Voraussetzungen erfüllt sein werden, hängt vom politischen Prozess in Syrien ab. Derweil wächst die nächste Generation an jungen Syrern im Libanon auf. Nasser Yassin von der AUB nimmt die reichen Länder des Nordens in die Pflicht. Er fordert sie auf, mehr Flüchtlinge aufzunehmen, um die Last des Libanons erträglicher zu machen und den Menschen eine Perspektive zu geben. Mona Naggar ist Journalistin und Trainerin. Sie lebt in Beirut, Libanon. In ihrem ersten Weltzustandsbericht zur Biodiversität in Landwirtschaft und Ernährung erklärt die FAO, warum Artenvielfalt essenziell für Landwirtschaft und Ernährung ist und was zu tun ist, um sie zu schützen. Laut FAO spielen Wildtiere eine wichtige Rolle bei der Lebensmittelerzeugung, zum Beispiel, indem Vögel Schädlinge fressen. Außerdem sind drei Viertel der Kulturpflanzen auf Bestäuber angewiesen. Die FAO warnt, dass Bienen und andere Insekten verschwinden. Auch bestimmte Arten von Fledermäusen und Vögeln, die als Bestäuber dienen, sind vom Aussterben bedroht. Wissenschaftlichen Erkenntnissen zufolge macht Biodiversität Ernährungssysteme generell widerstandsfähiger gegenüber Schocks. Bedroht ist sie nicht nur durch den Klimawandel, sondern auch durch invasive Arten, Urbanisierung, Umweltverschmutzung und die Übernutzung von Ressourcen. Zerstörerisches Konsumverhalten und nichtnachhaltige landwirtschaftliche Methoden spielen ebenfalls eine Rolle. Dazu gehören Übernutzung, Bodenverschlechterung und intensive Landwirtschaft im Allgemeinen. Erzeuger nutzen immer weniger Pflanzen- und Tierarten. Durch die industrielle Zucht wird die genetische Vielfalt der betroffenen Arten zudem immer kleiner. Regierungspolitik schadet oder ignoriert Biodiversität häufig. Beispielsweise kann die Infrastrukturentwicklung schädliche Auswirkungen haben – etwa wenn neue Straßen, Dämme oder Bergwerke die Lebensräume von Wildtieren zerstören. Derartige Projekte haben dem Bericht zufolge Ökosysteme zersplittert, Lebensräume zerstört und Barrieren für die Wanderbewegungen der Arten geschaffen. Die Autoren schreiben, dass oft sogar sogenannte sanfte oder umweltfreundliche Entwicklungsmethoden Ökosysteme mit großer Artenvielfalt bedrohen. Viele wichtige Aspekte sind wissenschaftlich noch nicht voll erforscht. Mehr Forschung ist zum Beispiel nötig, um Bestäuber, wild vorkommende Nahrungsmittel und wirbellose Tiere besser zu verstehen. Die FAO warnt, dass es schwierig sei, den Wert eines Ökosystems genau zu bestimmen. Er sollte berücksichtigt werden, wird aber meistens als gegeben angesehen. Die Autoren halten eine standardisierte Methode für sinnvoll, um zu messen, was ein Ökosystem zur Wirtschaft beiträgt. Das könnte beispielsweise helfen, Politiker zu überzeugen und die Öffentlichkeit aufzuklären. Im politischen Diskurs werden Landwirtschaft und Umweltschutz oft als Gegensätze wahrgenommen. Die FAO hält diesen Denkansatz für falsch. Sie spricht sich für mehr Zusammenarbeit zwischen Produzenten, Konsumenten, Vermarktern, Politikern, Behörden und Nichtregierungsorganisationen aus. Außerdem sei internationale Zusammenarbeit nötig. Die Autoren fordern wirksame Richtlinien und ihre strikte Einhaltung. Dafür seien finanzielle, technische und menschliche Ressourcen vonnöten. Als positives Beispiel stellt der Bericht die Herangehensweise Mexikos für internationale und fachübergreifende Zusammenarbeit dar. Die mexikanische Biodiversitätskommission CONABIO (Comisión Nacional para el Conocimiento y Uso de la Biodiversidad) koordiniert Maßnahmen zum Schutz traditioneller landwirtschaftlicher Methoden mit Partnern in anderen mittelamerikanischen Ländern. CONABIO organisiert öffentliche und private Finanzierung, versorgt Bauern mit Geld und Saatgut und ermutigt sie, ihre Böden aufzuwerten, Brandrodung zu unterlassen und nachhaltige Methoden anzuwenden. CONABIO stellt Informationen über Ernährungssicherheit, Naturschutz und Boden- und Wassernutzung bereit. Außerdem wirbt CONABIO für die Zertifizierung nachhaltigen Kaffeeanbaus. Diese stellt einen Anreiz für Bauern dar, da sie den Marktwert erhöht. 91 Länder haben Länderberichte für die Biodiversitätsstudie bei der FAO eingereicht. Die schlechte Nachricht ist, dass die Artenvielfalt abnimmt und die bisherigen Schutzmaßnahmen nicht ausreichen. Die gute Nachricht ist, dass Anstrengungen für den Erhalt von Artenvielfalt zunehmen. Immer mehr Akteuren wird klar, dass Biodiversität wirklich wichtig ist. FAO 2019: The State of the World’s Biodiversity for Food and Agriculture. Der Beitrag NAP-Monitoring: Verwässerung durch Kanzleramt soll Gesetz verhindern erschien zuerst auf MISEREOR-Blog.